Darnyelle Jervey Harmon is THE next Oprah Winfrey! Her powerful story and ability to inspire incredible positive change in people from all walks of life is nothing short of extraordinary. Keep your eye on her and watch out above! – Phil Dyer, Best Selling Author, Wonder Women: How Western Women Will Save the World. Hearing Darnyelle Jervey Harmon speak was like hearing a cross between Bishop T.D. Jakes and President Barack Obama! The woman is THAT powerful! We’ve had Darnyelle speak at the Virginia Women’s Business Conference two years in a row, in 2012, she was a breakout speaker and had standing room only in her two sessions and because she was so captivating and got such great feedback we asked her to come back to speak to the entire attendee audience. As our closing keynote speaker, she received a standing ovation! That was the first time I’d seen that! She was powerful, passionate, funny and engaging. She shared a great formula with the attendees. Her ratings from the attendees were 4.91 out of 5! She was Incredible! Of all the speakers at my 1st annual Reinvention Weekend, Darnyelle received the highest remarks, which doesn’t surprise me because not only does she know her stuff, but she has a secret power of being able to instantly connect to the needs of her audience so that they are transformed. Some of the responses on the evaluation form included, ‘Darnyelle is truly incredible,’ ‘I love her energy,’ ‘She’s such a dynamic speaker,’ ‘I’m so glad that I finally got to hear Darnyelle speak – it was an amazing treat, that women is incredible,’ ‘bring Darnyelle back next year,’ and many more! Darnyelle was a treat to work with, she is professional and committed to creating an experience for the audience. I highly recommend her as a speaker or attend one of her events. I really enjoyed listening to Darnyelle. It is always a pleasure to experience the passion that she shares with others. I always love being in her space because her energy radiates to everyone in the room. Exciting, motivating and thought provoking. Darnyelle will captivate your spirit as she challenges you to explore your inner passion, abundance, confidence and expectation. This workshop was well worth attending! I had heard others talk about how dynamic Darnyelle is, but when I witnessed it for myself, OMG all of the hype is not hype at all. Darnyelle is an amazing speaker and she doesn’t give fluff, she gives actionable strategies. I am amazed at her wealth of knowledge and the professionalism of her presentation. If you want a dynamic speaker to inspire and educate with the right balance of fun and humor, Darnyelle Jervey Harmon is the right choice. 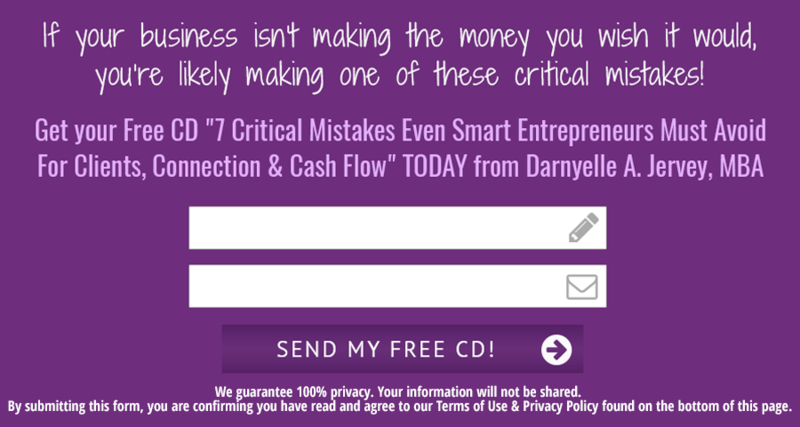 I can’t believe the amount of value Darnyelle shared during her presentation. I have heard so many people talk about networking, but NEVER like Darnyelle has. She was inspiring, she educated me and gave me practical tips I can apply right now to make my networking more effective for career advancement. I really appreciate the generous spirit that Darnyelle shares with her clients through her companies. She was open and receptive to my words during our coaching sessions and responded genuinely and truthfully. Your speech was powerful. 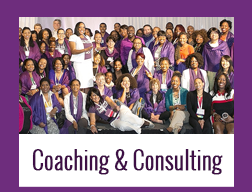 In just fifteen minutes, you empowered me and gave me the keys to an advance my career. Thank You. Darnyelle was very informative and fulfilling. I learned a lot. Darnyelle you were phenomenal. 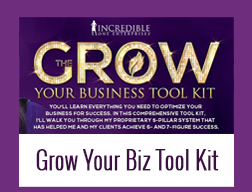 You provided me with some tools that I feel will be very beneficial to me. The information that I received has caused me to look at myself as well as my life differently. I am very excited about expanding my mind and opening myself up to experience new and exciting things. I am so glad that our company chose her to train us. As a speaker, Darnyelle was inspiring, encouraging, and uplifting. She kept my attention consistently throughout the event; the environment was electric, and full of expectation. The entrepreneurs and vendors who attended the event were icons of enterprise. The exchange of ideas, partnerships and collaboration were unparalleled. Darnyelle is awe inspiring and is a demonstration of Passion, Abundance, Confidence, and Expectation in action. I can’t wait until the next event! Darnyelle’s training was refreshing, thought-provoking and results-oriented; many of our leaders learned how to think burn the box to produce Incredible results in their positions. Her presentation was very powerful. Please continue your work. You will touch so many lives. We contracted Darnyelle to speak to the leaders in our organization and she received an overwhelming response. Her interactive approach to providing leadership principles through her “Leadership in Lights” program is amazing. Darnyelle, in a word… Incredible. This woman’s enthusiasm should be bottled and sold. It is a sheer treat to be in her presence and allow her to motivate and empower you to dream the incredible is a gift. Darnyelle is a phenomenal woman! Her high energy and boundless vision of tapping into your true potential will inspire anyone that comes into her presence. Darnyelle will not only motivate and inspire you, but will also provide the tools you need to achieve your own vision and goals. She has taken her own tragedies, turned them into triumphs and is helping hundreds of others do the same. If you want a speaker for your event that is more than a cheerleader, hire Darnyelle and watch change come into the lives of those who are blessed to be a part of her audience. I just finished Darnyelle’s book, “Maximizing the Incredible You,” and it was great, I got empowered and my husband, who kows a lot about marketing and branding, did too. She has my whole household buzzing. I’ve been the photographer at the Dawn Training Institute graduation ceremony for years and Darnyelle was by far the best commencement speaker they’ve ever had. You gave a great presentation on Tuesday. I love when you speak – you are so lively and motivating. You really have a gift!!! You make an Incredible life coach. You are absolutely perfect for that profession – you really inspire and motivate people to reach their goals. 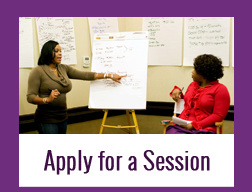 Darnyelle has the ability to offer expertise, experience and excellence to the Career Team participants. She is an invaluable resource and we are always so inspired by her presentations! I was really inspired by Darnyelle’s passion and vision. She has re-energized me to keep moving forward with my dreams and goals. Hers was one of the most impactful presentations I have ever seen. – Tiffany Matthews, President Sigma Zeta Omega Chapter of Alpha Kappa Alpha Sorority, Inc.
You were brilliant this morning Darnyelle. You were more than motivational, you were that but so much more. Your business oriented advice coupled with motivational fervor was a perfect beginning to our long day. I can’t tell you how good I thought you were. I really enjoyed the motivational speaker, Darnyelle, at the beginning of the program on Saturday. Her acronym F(ollowing) O(ne) C(ourse) U(ntil) S(uccess) really spoke to me. Sometimes it is so much easier to give up and start down another path than to continue towards your original goal. I know her advice as well as that of all the other wonderful speakers will greatly help me to create a successful business plan. I continue to be impressed with Darnyelle and her ability to inspire action and change in the lives of her participants. She takes inspiration to the next level with her ability to empower you to make the changes necessary, finally to make things happen in your life. Darnyelle creates unlimited possibilities for her clients and I am so excited about our new business relationship. Darnyelle came to speak at the Special Event Conference in Tampa, FL and her reviews were among the highest at the entire 5 day conference. 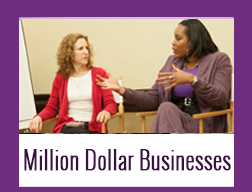 Participants shared how real she was and how her story empowered them to learn how to grow their businesses. We will definitely have Darnyelle back as future conferences. I’ve had the privilege to hear Darnyelle speak twice now and each time I have been impressed with the sincerity and passion of her message. She has great energy and an amazing presence that enfolds the audience, creating the perfect atmosphere for the seeds of empowerment she sows into the group. In addition to being a gifted teacher, she is also an author whose printed word is just as powerful as her spoken message. I highly recommend Darnyelle if you are looking to give your audience an experience that will spark a change for them and their world. Darnyelle is a dreamer and visionary who knows the purpose on her life. I’ve had the pleasure of personally experiencing the love that pours from her heart and dedication that she pours into her business. With that said I highly recommend Darnyelle Jervey Harmon to help motivate, encourage, and consult with any person or organization in need of an excellent business partner and/or service provider. I am incredible! Darnyelle’s presentation hit it out of the park! 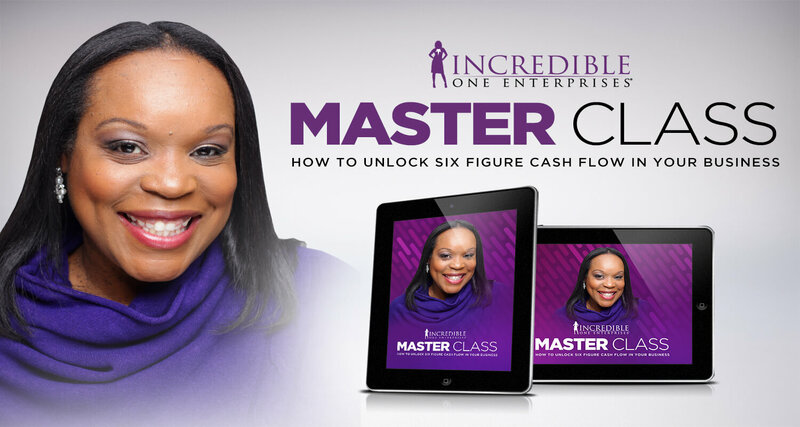 I have 7 double steps that I will be implementing over the next 90 days to unleash the Incredible in me! Darnyelle Jervey Harmon is Incredible! Her message, passion and knowledge of how to become the “Best” You is a must have and book her NOW ffor your next event. Darnyelle’s interactive presentation during our Women’s Week at Delaware State had the young ladies ready to own their Incredible Factor. The are still beaming about her presentation, calling her the best speaker they’ve witnessed in 4 years at Delaware State. Darnyelle has been connected with several Delaware Economic Development Office (DEDO) entrepreneurially based programs since 2008. As our first motivational speaker and Judge for the ETC Boot Camp and Business Plan Competition; as a Panel Facilitator for the Governor’s Entrepreneurial Conference;, as our Marketing Expert Co-Facilitator for our Kauffman FastTrac Entrepreneurial Training and as a presenter for the DEDO GrassRoots programs. Darnyelle’s personal success story, and her marketing expertise and the energy by which she brings that expertise to the marketplace, brings tremendous value to DEDO’s entrepreneurial and small business development support initiatives. – Kenneth R. Anderson, Director of Entrepreneurial Support Delaware Economic Development Office. I’ve been the photographer at the Dawn Training Institute graduation ceremony for years and Darnyelle was by far the best commencement speaker they’ve ever had. She’s personable, energetic, entertaining and she shares a practical yet inspiring message. 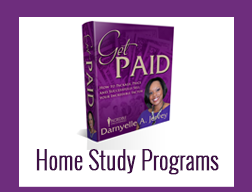 Darnyelle shared her Market Like a ROCK Star® Program with our group in December of 2009 and by March more than 50% of our members were reporting significant revenue growth in their businesses. Many shared that Darnyelle’s strategies were simple and easily implemented. She is such a dynamic speaker with relevant information to share to create movement in your business. Thank you Darnyelle for such an Incredible program. Darnyelle is in a word Incredible! She has an uncanny ability to empower you from the inside out. The students and staff gave her the highest reviews any speaker we’ve brought in has ever received. Her energy spoke to my heart. If you want to grow your team, organization or students, you need to bring in Darnyelle, period. I have heard a lot of speakers but Darnyelle Jervey Harmon was one of the best. Her energy and enthusiasm immediately infused the audience with power, Her presentation was both dynamic and inspirational and she gave us practical strategies we can use TODAY to unleash our Incredible Factors. If the organizers of this event knew what was best to pump up the crowd, they’d bring Darnyelle back every year! She was amazing, just what we needed to get up and move into action to grow our businesses and live our best lives. I took pages of notes and for the first time in a long time I am excited to implement. I am so thankful that I made it my business to attend the Diversity Month Celebration where you were our keynote speaker at HSBC Bank, USA. In all my years of executive leadership with this company, I have never met a speaker like you. I truly believe that you are the best speaker I have ever heard. You asked us to rate you- A or F…either way you look at it, you were Incredible…A stands for Awesome and F for Fantastic. We will definitely be inviting you back to HSBC and having you share your passion, abundance, confidence and expectation model with our employees nationwide.